Fred has five frogs. Finn has five frogs. And when ten frogs get together, it’s party time! 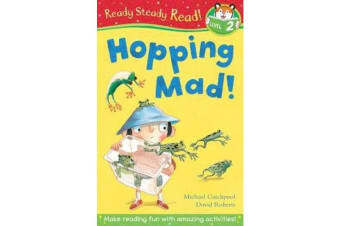 Hopping Mad! is from Level 2 of Ready Steady Read! a fantastic graded reading scheme with four reading levels from Little Tiger Press. Ready Steady Read! makes learning to read fun. 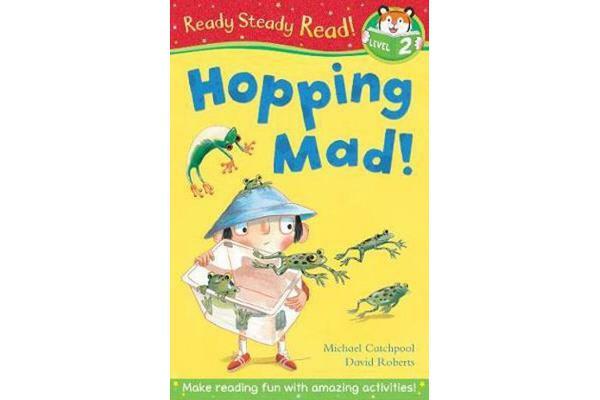 Each book contains games and activities to reinforce learning and test comprehension in a way developing readers will enjoy as well as handy parent notes from Prue Goodwin, Lecturer in Literacy and Children’s Books. Level 2 is suitable for developing readers. The stories will help build their confidence, opening up the world of reading and imagination to them.